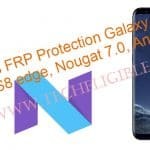 There are several methods available to bypass frp Samsung Galaxy S7 and Galaxy S7 edge, in all those previous methods, we unlocked frp using talkback, or sometimes with the help of Hushsms apk app, or sometimes we did that using add call option to access chrome browser etc, but now on latest samsung galaxy s7 edge or s7 security update, previous frp removal methods are not working properly, so that is why, we are going to show you another new frp method 2019 to Unlock FRP Galaxy S7 Without Talkback, Hushsms, Add Call, this method will also work for Galaxy S7 Edge. -Connect “Wi-Fi” first in your galaxy S7 & S7 edge device. -Go back to first “Start” screen by tapping on back key multiple times. -Insert any working “SIM CARD”. -Right after inserting SIM CARD, you will get a popup window of “Enter SIM card Unlock PIN”. -Now “Remove Card Tray’, after removing sim tray, you will get another pop window of “CHECK SIM/SD card Tray”. -Quickly press “Power Key” as soon as you get the popup up of “CHECK SIM/SD card Tray”. -Now remove sim card tray completely to bypass frp. -As you have already pressed “Power Key” to lock your device screen, so the current state on your device will be the “Black Screen”. -That means you are going very well so far. -Now Again press “Power Key”, and now you will see screen of “Not Signed in”. -Swipe “Not Signed in” screen to the left, by doing that, you will get 2 more options, 1- Setting gear icon, 2- Notification bell icon. 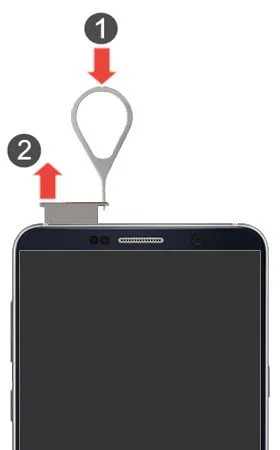 -Tap on “Notification Bell icon” to bypass frp. -After that, tap on “Notification Settings”. 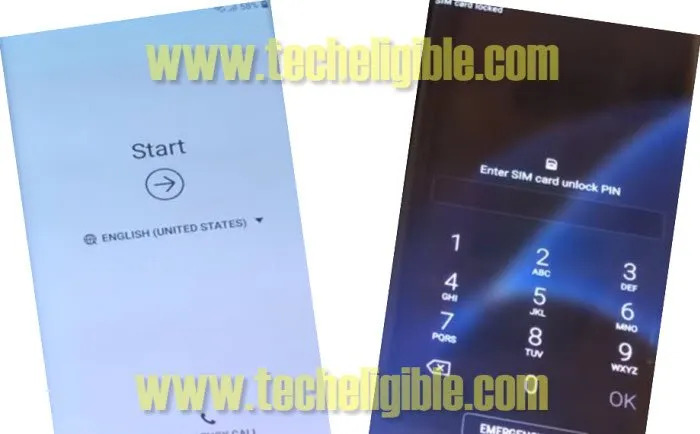 -Boom, you have accessed to the internet browser successfully, now we can easily Unlock FRP Galaxy S7 Without Talkback. 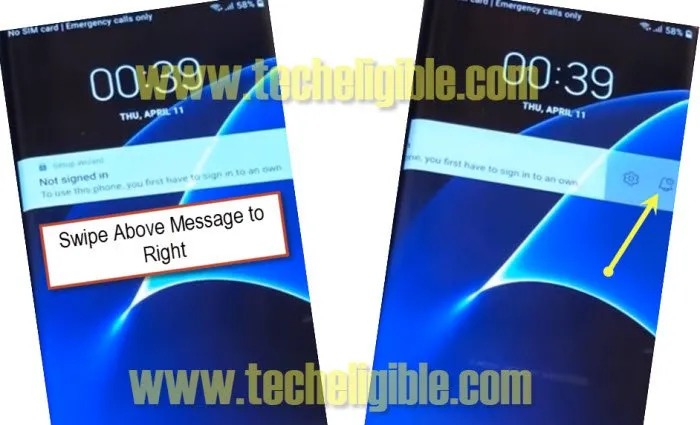 -We have to download Samsugn FRP Bypass tools to unlock frp. Note: If you get “Update Samsung Internet” popup message, just tap on “CANCEL”. 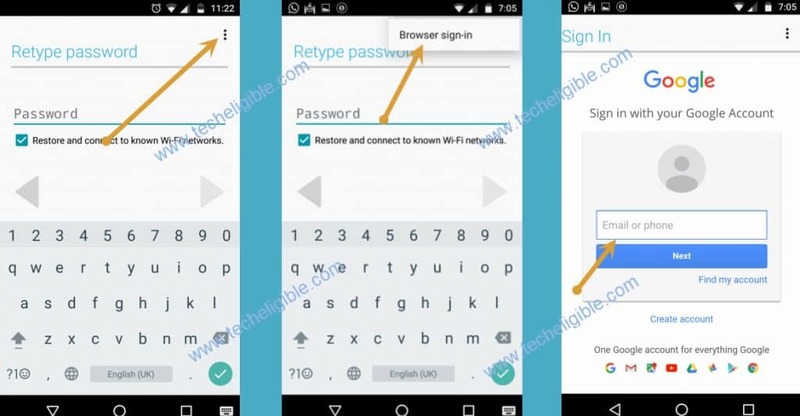 -Type in address bar “Download Samsung FRP Bypass Tool“. -Visit first search result from there. 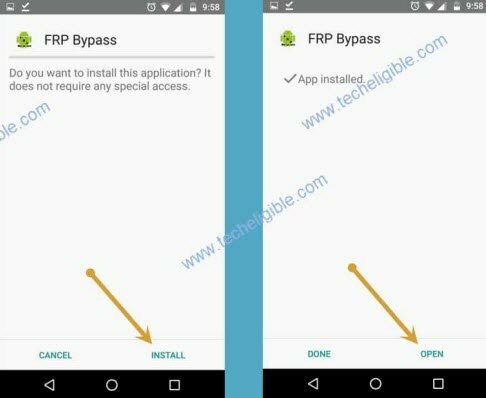 -Download from there below 2 frp bypass tool. 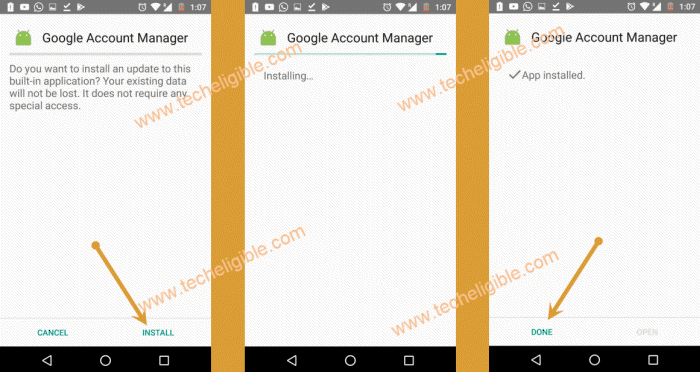 Note: you can download google account manager according to your device android version. -After that, tap on “Bookmarks” from bottom of your internet browser. -Tap on “History”, and then tap on “Download History”. 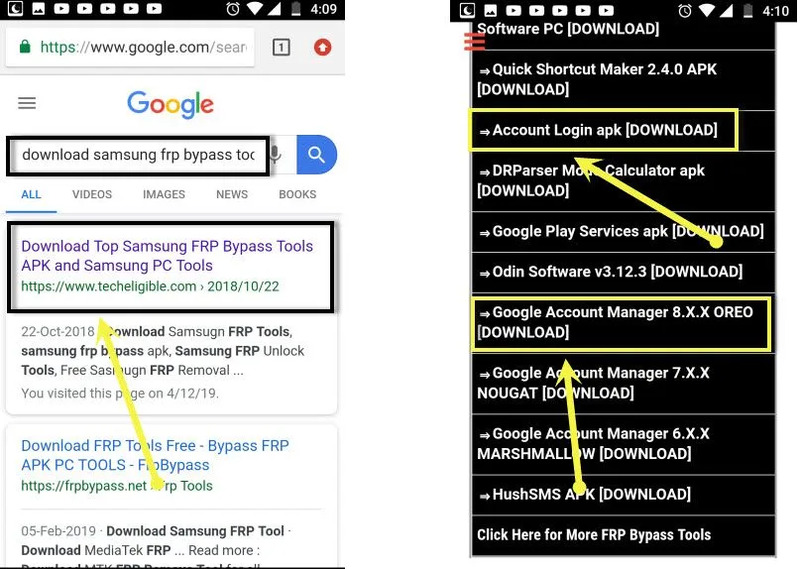 -There you can see your both downloaded Samsung frp bypass apps. 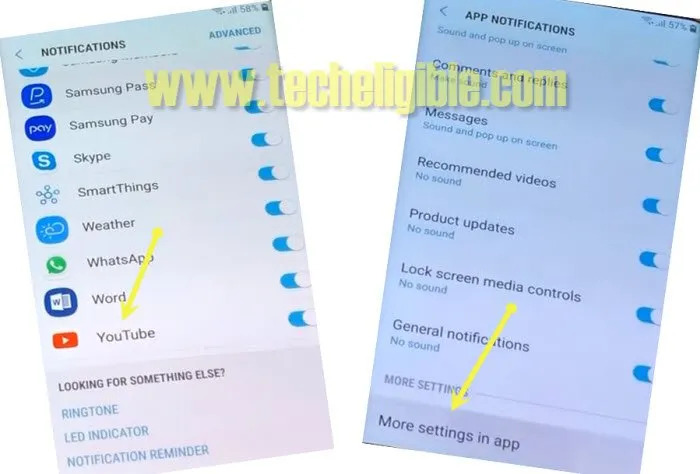 -Tap on “Google Account Manager”, after that you will receive a popup, just tap on “Settings”, and then enable of option “Allow from this sources”. -Go back, and then tap on “Next > Next > Install > Done”. Perfect now we have installed google account manager successfully. 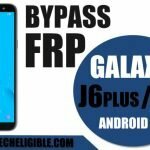 -Now we have to install our last frp bypass app “Account Login” to Unlock FRP Galaxy S7 Without Talkback & Galaxy S7 edge. -Tap on “Account Login > Install > Open”. -After that you will see screen of “Retype Password”. -Tap on “3 dots” from the top right corner & select “Browser Sign-in” option. 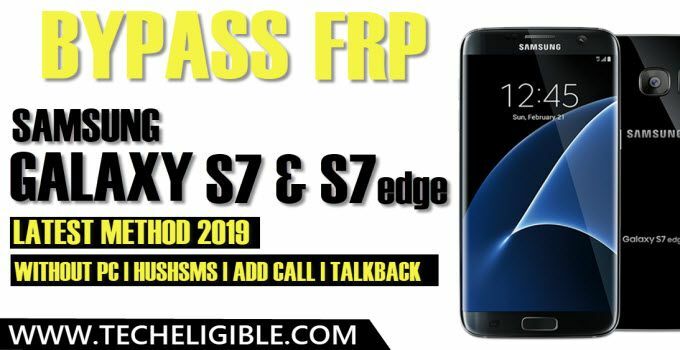 -You will be redirected to the sign in screen, just sign-in there with your any valid Gmail Account to Unlock FRP Galaxy S7 Without Talkback & Galaxy S7 Edge. -Once you signed in successfully, that means your device now free of frp lock, and you have successfully removed old gmail account. -Restart device & complete initial setup. Thanks for visiting us, if you’ve any question regarding this method, you can comment us below of this post.